TaultUnleashed Blog - World of Warcraft / MMO\"s - Cheats, Bots, Guides, and More! Welcome to the news section of taultunleashed. Please use the left navigation to select your specific game. Or you can scroll down for all gaming news. Keep in mind this section is only going to be gaming related news, to view game cheats, guides, click on the game links listed below the news links on the left. With its brand new graphics engine, the ability to streamline a totally different layout based on your actions, and a pvp system where you compete against other servers. This looks to be one of the best games in a long time, and it may be the true destroyer of world of warcraft. 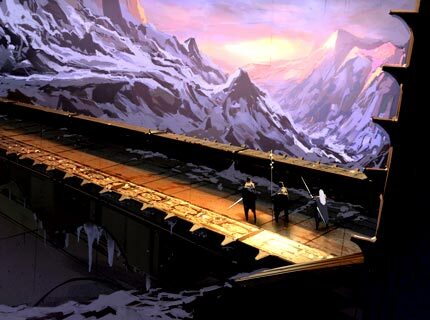 Guild Wars 2 is one of the most anticipated games of the year. If you are looking forward to testing Guild Wars 2 for the first time, or maybe you are just someone that just started playing the game. Either way you are going to need to look things up and thats where using Guild Wars 2 hints comes into play. These Guild Wars 2 Hints will allow players to master their own game enviornment because of the ease of use in it. A hint could be a small guide on completing a specific in game dungeon, or just a little trick to help you beat a specific boss or reach a certain area. These hints vary from what they could be, from gold farming, to leveling, to item questing, to pvping, you have pretty much a giant range of options when it comes to GW2 Hints. Taultunleashed is going to be your place to find all these hints and more for you. We have a true staff finding all the latest and greatest hints and sharing with you to enjoy. If you want to increase your game even more then you can start using our guild wars 2 cheats at your own disposal. Welcome to the next level of gaming. Taultunleashed. If you have just starting trying to master tera online you have realized then there is a lot of things needed to become a professional player. You need to know all the little ins and outs of leveling int he game world. From the hard in depth dungeons to learning the best ways to farm. There are the best ways to do these and normally only the top players and TERA GMs know about them. These are considered to be TERA Secrets, which show you the underground tricks that give you an extra advantage. The first major type is TERA Leveling secrets. These are just the best ways to level. So maybe at level 19 you want to visit a specific dungeon to level instead of farming mobs or doing quests. Only a few players might know of this leveling trick. Or maybe the best way to complete a specific quest by making a dungeon boss do significantly less damage to you. Another example would be tera gold secrets which are the bread and butter of a lot of gamers. Learning how to farm specific items that can be sold for tons of gold, or knowing prime farming spots to earn loot you can sell would be examples of these. Thirdly we have TERA PvP Secrets. These would be the best ways to dominate for pvp. For example knowing the best ambush spots for killing others in pvp battlegrounds. Or knowing how to get to the enemies main base without them noticing you from taking a special path. When players guild wars 2 you might come across a time or two that money is a problem. Maybe you spent all your gold trading for the best item in the game. Or you just got tired of trying to a find a quest item so you purchased it forma vendor instead. No matter what you will find yourself at one point in the game wishing you had more money, items, experience, or more. That’s when you need to get yourself Guild Wars 2 Dupes to earn all the loot you need. The best place is of course going to be here at Taultunleashed for finding these. So now that you want a Guild Wars 2 dupe lets talk about what it is. A GW2 dupe is basically a cheat to allow you to instantly duplicate something in the game. Gold, items, experience, ECT. After using this dupe it gives you an exact clone of that item. You can find dupes like this by just trying different methods in the game for trading, when the servers go down, entering new zones, and completing quests. The vast majority of these dupes have been done in the game via means like this. Guild wars 2 is an amazing game, from the awesome scenery it has, to the new dynamic content system that aims to change everything in the gaming world, to the epic battles from level 1 to the not yet determined max level. This game has everything you want so now is the time to take advantage of latest GW2 Gold Dupes information and get ahead of the competition. Tera Online Guides are going to be your bread and butter in the game. They will show you everything you could possible need in the game. Here is just one example of what a guide would do for an average player. Lets say you are having trouble on a certain quest. Well with an in depth TERA online guide you will be told where to travel to for helping your specific character prepare for the quest. What players you should and shouldn’t take with depending on the quests. What mobs you can expect to fight. Step by step directions for completing the different parts of the dungeon. And a video guide showing someone completing the entire quest and step by step ways you are doing different things. The same can be said for using TERA guides on farming gold. Such as learning the best ways to kill high drop rate mobs, special areas that have great mobs to farm, and ways to do other things such as what players are willing to spend a ton of money on purchasing in the game. Or the same can be said for leveling guides. Showing you what mobs to kill to help you level the fastest way possible, what skills to take, and what quests you should take. Tera Online guides are used by pros and noobs alike. When you start using TERA Gold Dupes, you are going to be apart of one of the worlds most exclusive groups. That’s because players are constantly trying to find these exclusive game dupes, and use them for themselves. Most players will play through their entire gamers span of a MMO, and never once find a single dupe. Dupes are used by all the major game players. The largest guilds have used TERA Online dupes to help them either farm a ton of in game gold or for TERA item dupes. The best players in the world have used dupes to help them earn enough gold to further their gaming enjoyment. Pretty much anyone that is consider a pro player has at one time used an in game dupe to help push them farther forward in the game. Well now its your turn to start using dupes by using the TaultUnleashed TERA Online section for dupes. For those who have been waiting for the game, you are now one step closer. Guild Wars 2 is the number 1 anticipated MMO this game (Diablo 3 is not an MMO). 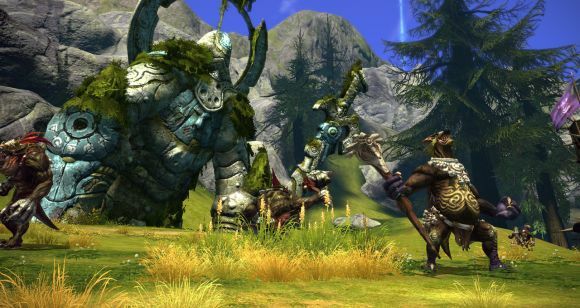 This sequel takes all the great things of Guild Wars 1 and bring it to the extreme with more. Here is an awesome video of the game and for those wanting a direct link for the beta here ya go. SO maybe you are new to the game TERA online? Well then you are going to need to know a few things about the game. First of all gold is what makes the games economy work. You will need to find tons of ways to earn it in the game. Secondly when it comes to leveling be prepared for a long grind. Think lineage 2 in style. Thirdly when it comes to the overall user PvP and experience its one of the best games out there by far. That is what makes TERA online such a great game. So in order to get to the awesome PvP you will need to earn yourself some gold and levels and using TERA Exploits is going to be your best bet. If you decide to start using TERA Gold exploits then its going to be things such as locations for instant spawn mobs in the game. Or maybe ways to bug out trades with players so you are given even more items than you should normally receive. Or maybe you decided to use a TERA Leveling Exploit in the game. This would be more along the lines of ways to kill mobs where you aren’t in danger, or ways to get mobs to spawn faster which in return will give you more experience in the game. Both of these ways many players are using right now to help their toons get up there in level. The best way to describe TERA online would be it takes money to make money. That’s because the game has one of the hardest farming times out there. The game while an amazing game in many respects has a very hard grind much like ff14 or lineage 2. If you are going to be forced to earn tons of gold to enjoy the game, then you need to get your hands on some TERA Bots. Professional farmers, PvP players, and the top guilds all use them to help their gold farming in game. So lets go over the 3 major types of TERA Bots out there and what they can do. The first is going to be a TERA Online farming bot. This is used to help you earn tons of gold in the game or to help you farm items you are after. This is probably going to be the number 1 reason for players botting late game, but for new players they are going to be interested in a TERA Leveling bot. These will actually help your character level in the game. They do this by either hunting mobs you select or doing quests. When they hunt mobs you setup all the different variables for the bot, then just let it run. It will find mobs, kill them, heal you, use selected spells, and more. Finally you have Questing bots. These are the type of bots that will run in game quests for you and allow you to either gain extra items, levels, or specific quest items. Most players use these if they are trying to power level their TERA toon or help level someone else. If you have played tera online then you have to know that is a great game. From the leveling, to the quests, to the players, its one of the best games out there by far. However one major draw back is how hard it can be to get certain items in the game at times, and how at times you are forced to farm mobs to hit the next level. This is where TERA cheats come in handy. Tera Online cheats can allow you to easily dominate the games fighting with almost no effort on your part if done correct in the game. When you earn gold in TERA it allows you to buy the best armor, items, and more in the game. This means that you will be constantly needing ways to farm in the game, and a Good TERA Cheat will give you that ability. You can now farm gold almost instantly by bugging mobs, allowing you to kill them and loot with no risk to you. Or you can use other gold cheats to give you ways to actually use quests to give you extra rewards in the game. Some players have even found ways to make quests constantly bugged and they just throw in an easy to use TERA Exploit to give them almost max level of in game gold. Tera Online Cheats can also help you find ways to dupe gold in the game. These gold dupes are by far the most sought after item out there, and most players will never find one in their entire gaming experience. If you know the correct site, and have access to exclusive information you can know all these gold dupes and more. For example taultunleashed has had the first dupe for almost every MMO out there and TERA will be no different. Just wanted to share the good news. The basic areas have been created. Expect it to in the next few days to have its own unique layout and more. Here is a direct link to the new section. The leveling bot only costs 20 dollars right now with the winter special going on at MMOViper. Also members from taultunleashed.com get a free membership to MMOViper as long as you are premium. This is an even better bonus because not only are you going to get everything taultunleashed has to offer, but you will be getting the bots and radars out there on the market. Due to high demand and user appreciation we have extend the holiday special for a yearly premium membership. The normal cost is $29.95 but we have given you our holiday special deal for $19.95. This deal will be running through the month of January, but it may end sooner. Be sure to catch in on this great deal before it disappears. Also as always premium members get access to MMOViper.com to check out their amazing bots and hacks. 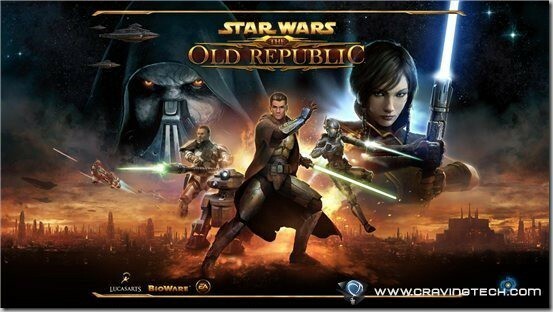 Just wanted to let everyone know we have the worlds first star wars the old republic credit dupe. Its done with vendors and extremely easy to replicate. Players right now are averaging 1,000,000 (one million) credits every 4 minutes doing this. So you are going to make around 360 million if you do this on an easy to set up macro. This dupe is expected to be nerfed right away so be sure to start duping, send your credits to a bunch of alt accounts, and then reap in the awesomeness of a ton of in game credits. So our record goes as follows. And So Many More Dupes. Just wanted everyone to know we are now doing a nice little addition by using the torhead features. We feel torhead is the best database out there for SWTOR so this is a great way for members to easily help others in the game. SO the way this works is now lets say you have an item or something in the game you want players to see. Well just post the link for the item in your post. Then when its hovered over it will show stats on that item. You can do this for quests, NPCs, items, mobs, and more. Pretty much anything you can link to on the site will now allow you to do a nice pop up for members. We will be adding this also to other games. Expect things like this in our wow forums, ff14, and other areas. These links also will only work on the SWTOR area. So you dont have to worry about posting a torhead link on a different forum and it not popping up. We did this to stop some confusion on the site. From picking one of the major 5 races in the game. To finding rare items in the game. To completing quests in the game you are going to need to know how to do them. Some people might ask friends in the game for help. Other might read in depth to the quests they are given for help. Some even take the hardest route and learn by trial and hour spending hours figuring things out. For most players though they want guild wars 2 guides to help them in completing things in the game. For GW2 guides you can have them come in 3 main forms. Finally you have guild wars 2 questing guides. These are the guides that show players how to take down the major bosses. Starting at pretty much level one in the game you are going to be fighting some epic monsters. If you haven’t watched any videos of the game you should start doing so because these battles are big. From fighting the undead guardian of a tomb, to fighting a giant dragon that came out of the sea. You will need to know how to complete a quest. For these gw2 guides they will show you what items to have, what races should be there, and how many players you should have. Then they will start giving you a step by step guide of where each player should go. What skills each one should be using. and what to expect as the fight goes on. If you follow the steps correctly you should be able to take down any boss in the game easily. Secondly is going to be a guild wars 2 leveling guide. This will show you the best quests to take from the start of your race. What areas you should travel to for the best xp per hour. Finally what mobs you should kill to help you level the fastest in the game. These leveling guides normally will have a check list that you can mark off for completing didn’t things in the game. From killing x mobs at area A. To completing all the quests for a certain sub section of the game world. Most players speed up their leveling time by at least 5 times as fast using leveling guides. Finally you have guild wars 2 gold guides. These are the guides that show players the best ways to farm gold in the game. The way gold guides normally work for games such as guild wars 2 is first they are going to tell you what items you should have on your desired race. Because in guild wars 2 items determine your classes the items will be important. Then the guide will tell you what level you need for those items. SO many you need an axe leveled pretty high so you can do an amazing aoe attack on some weak minions. From there the guide is going to show you where to travel too and what to do from there. It might have you just farm mobs for items / gold that you can resell for a ton of money in the game. Or show you a list of quests to take so you can make the most money for your time. Either way these guild wars 2 guides will help you make a ton of money. Site and Contents Copyright 2003-2010 All Rights Reserved All information is for intellectual information and taultunleashed is a news source sharing the latest and greatest. Taultunleashed is not affiliated with any gaming company. If you are associated with any gaming company directly or indirectlys please leave now.